The things I brake for in the Delta? A tree festooned in tires certainly warrants a full-fledged photo stop and maybe later, a starring role in the setting of a short story. This is the stuff of the Delta, y’all. We parade quirky in our front yards with pride. I’m forever stopping at roadside cemeteries, especially those with no official gates and old splintered, whitewashed signs to point the way. Under a full moon, this sign would glow. You know it would. There are over 100,000 historical markers in the United States. The more remote the location, the more intriguing I find it to be. 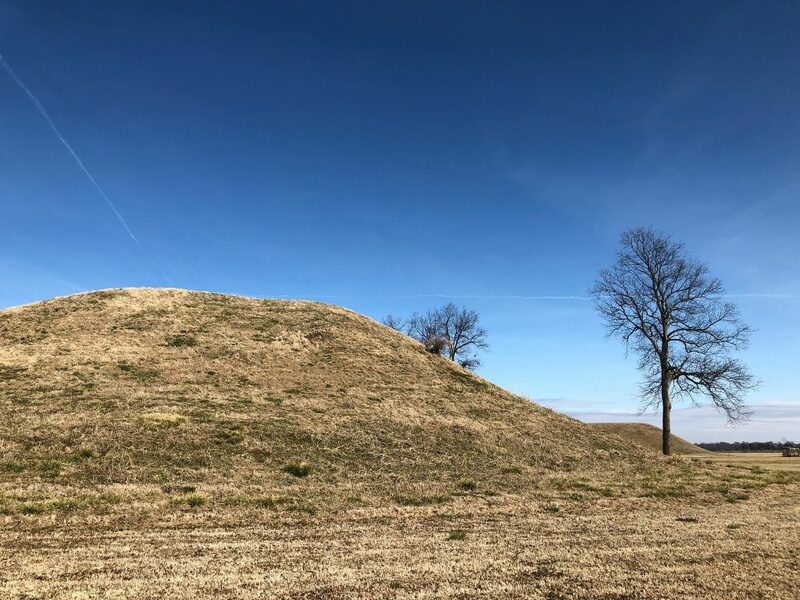 This one, on Island 37, marks Tennessee land that is now only accessible via Arkansas because the Mississippi River changed his course in 1876. That’s a bit of a detour if you’re driving a tractor. Architecturally significant buildings, century old murals fading into brick, new awnings shading the front door of the hardware store that’s been there forever. What’s not to love? Have a java at the local coffee shop or poke around at the resale shop on the corner. Main Street USA still holds a bucketful of charm. 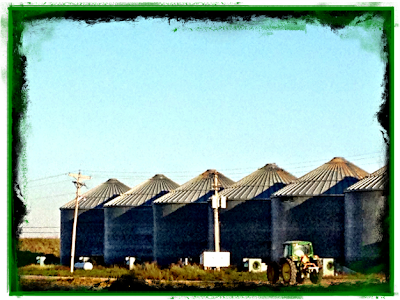 Yes, I brake for farm equipment in odd places. This cotton picker is parked on a hill to protect it from Mississippi River floodwaters. (Or so I was told by someone in the know.) An example of common sense and smart thinking, really. Nobody needs a drowned picker. Small churches with steeples and crosses give me hope. This one belongs to Grand Avenue Methodist in Stuttgart. It was organized in 1887. If I lived in Stuttgart, you might find me sitting on the third pew come Sunday morning. It would be a difficult choice, but if I could come back as a tree, I might be a cypress. Something about their wide-spreading trunks fascinate me. Plus, they get to swim during the hot, sticky summer. Old buildings have stories to tell. If this one was a person, I have a feeling she would proudly vote along democratic lines. Oh, the crown of every small town. I always wave and sometimes take a picture. When I find milkweed growing wild at an old homestead or along the road, I report my sighting to Journey North. Journey North tracks migration of various bird and butterfly species as well as critical milkweed. They are fun to watch as they fly over farmland. Pull over, roll down your window, and listen. A bonus of driving in the Delta: sometimes there isn’t much traffic. Stopping on a bridge is a-okay when you seem to be the only human left. Beautiful White River. As finale to another day in the Delta, a show-stopping sunset can’t be ignored. Celebrate it! 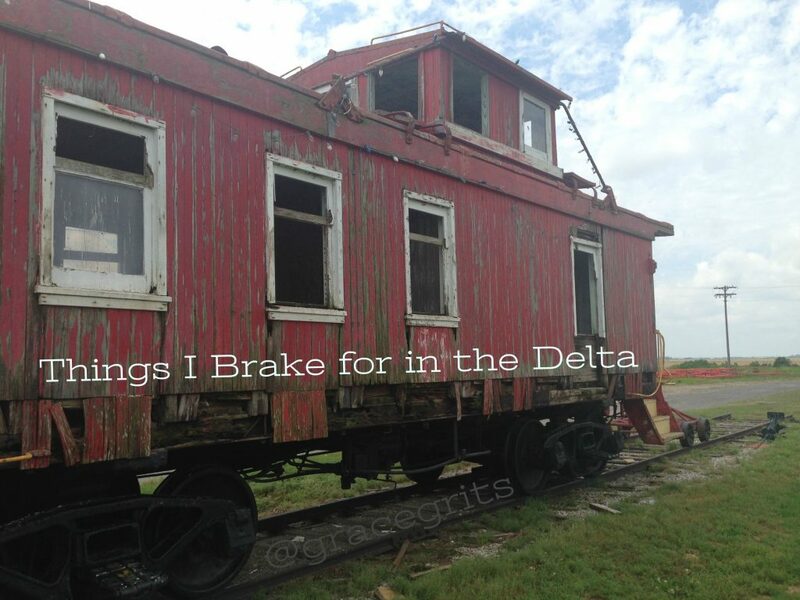 Other things I brake for (yes, there’s more): vegetable stands, Kreme Kastles, historic courthouses, wildflowers, pumpkin patches, estate sales, rock shops, box turtles, bookstores, abandoned red cabooses, state line visitor centers that provide free coffee and maps. If she says it will take two hours and fifty-eight minutes for me to drive from Cottonwood Corner to the Duck Capital of the World, I add at least another hour to my drive. Maybe two. Sylvia needs to chill and enjoy the journey. Oh, I love how you travel! !My husband does not travel that way. I need to start going by myself! There’s a positive to solo travel! I love this. My husband and I went to Holly Grove Arkansas to see where the survey began for the Louisiana purchase. It was so cool and in a swamp. Very out of the way and beautiful. He knows how to excite his geologist wife’s heart. Oh, I stopped there on this trip. It was incredible. Worthy of its own post for sure! Great stuff! I love old cemetaries and often if I am driving alone I will stop to meander through the rows of head stones noting the oldest and newest and the interesting trinkets, memorials and epithets. Thank you! Such artwork in cemeteries! Love it! Like they say “stop and smell the roses”. This is one of your best stories. It would be nice if we could all travel that way once in a while. Thanks, Ken. I highly recommend it. Love this! I drive a lot because I always take my dog along. And I always keep my camera in the front seat beside me! Back roads are absolutely the best, Talya! I would be inclined to stop at all those attractions as you are. Thanks for sharing the wonders of the Delta. Love these reasons you brake–Great pictures. I stop when I’m alone, but my travel companion is more about getting from point A to point B. However, he’s mellowed out enough to stop occasionally for a photo moment.